D.C. United have announced they will join forces with Octagon and Triple S Sports & Entertainment Group for the commercial rights and activation of all of Wayne Rooney’s marketing and media opportunities in North America. The three parties will work closely together during Rooney’s time at D.C. United in Major League Soccer (MLS) for projects on and off the pitch. This news comes as Rooney has just been announced as Player of the Week. The D.C. United forward was voted the Alcatel MLS Player of the Week by the North American Soccer Reporters (NASR) for Week 25 of the 2018 MLS season. 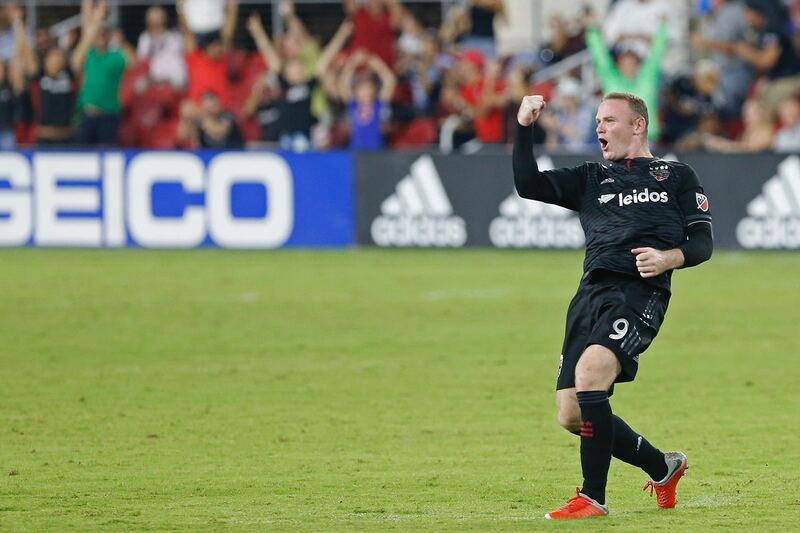 Rooney helped D.C. United to a 4-1 victory over the Portland Timbers on Wednesday, Aug. 15, scoring two goals before capping the week off with a 2-0 win over the New England Revolution on Sunday, Aug. 19 at Audi Field. In eight matches played this season, Rooney has three goals and three assists with the club posting a 5-2-1 mark over that span. The Black-and-Red have 27 points this season (7-9-6 overall record) and are undefeated in five matches including three straight victories. This new deal means that the Triples S Sports & Entertainment Group and D.C. United have granted Octagon the exclusive rights to handle the commercialization and activation of Rooney’s marketing and media IP in North America. Sam Porter, Senior VP of D.C. United: “We are excited about working with Octagon to take advantage of the level of energy and interest Wayne has generated as a player. Wayne has been a star his entire professional career and has brought his star-power and production to D.C. United and MLS. Just ten days ago on Aug. 13, with the score at 2-2 – and United’s goalkeeper David Ousted making the decision to venture forward for the last corner of the match – the ball broke loose and Orlando looked to break, with an open goal beckoning. Sprinting from the edge of Orlando’s area to well inside the Black-and-Red half, Rooney hunted down Will Johnson with an expertly timed tackle, got back to his feet and sent a pinpoint cross to teammate Luciano Acosta who headed past the approaching Orlando ‘keeper to complete his hat trick. “They’re the best games of football to win. I normally go in the box for corners, that’s why I stayed out because I tried to anticipate something like that happening. I’ve seen it before in football. You just rust run as quick as you can trying to get back. I was hoping he’d take a touch and he did”, said Wayne Rooney. “I am delighted that we at Triple S have been able to agree terms with both D.C. United and Octagon to become the exclusive commercial sales agency for the US and Canada. Octagon are one of the most respected sports rights sales agencies and fit perfectly with our wider commercial ambitions for the Wayne Rooney brand throughout North America. “As a business we are proud of the commercial opportunities that Wayne has been involved in from the moment he became a professional at Everton and through to his record breaking goals for both Manchester United and England. Wayne now steps in to another phase of his career and as he has done so many times before continued to create stand out moments that transcend his sport. Wayne also posted the video – and congratulated Acosta on his hat trick – to another 16.9 million. Across D.C. United channels the goal has been viewed more 5 million times. D.C. United and Triple S Sports Entertainment Group have granted Octagon the exclusive rights to handle the commercialization and activation of Rodney’s marketing and media rights in North America. Octagon, with its global talent headquarters based outside of Washington, DC, is the leading global sports and entertainment marketing agency focused on helping talent and brands make their next right moves in a quickly changing marketing and media landscape by creating partnerships, campaigns and lasting brand platforms. Octagon’s talent representation and marketing business – named 2018 Best in Talent Representation by SportsBusiness Journal – spans more than 800 athletes, broadcasters and personalities including Stephen Curry, Michael Phelps, Simone Biles, Giannis Antetokounmpo, Hannah Storm among many other iconic stars. Octagon is also known for creating award-winning marketing platforms and hospitality experiences for a client roster that includes Mastercard, BMW of North America, Bank of America, Cisco, Delta Air Lines, AB InBev, Taco Bell, Allstate and others.